In my opinion, this issue isn’t just about time management. Sure, that is important. I believe we need to be fully aware of how we spend our time—and I talked about it extensively in my latest FastCompany post. Successful attainment of marketing goals is bigger than time management. True priority management starts with the “who.” Who will you select for your “dream marketing team?” How will you create an environment that fosters safe, open communication, clear accountability, and a commitment to customer success? 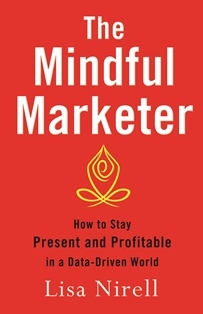 Delivering against your marketing plan requires that you foster a culture of marketing innovation and trust, and surrender the old belief that, as the marketing leader, you need to have all (or most) of the answers. That’s why I recently invited Amy Edmondson, the Novartis Professor of Leadership and Management at the Harvard Business School, to speak with my clients. 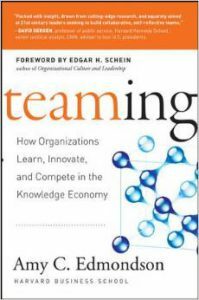 She is the author of Teaming: How Organizations Learn, Innovate, and Compete in the Knowledge Economy. Amy and I met at a recent Renaissance Weekend. I was impressed by how much she understands what makes teams work at optimum levels. Her clients have included some of the most respected health care and manufacturing companies in the world. Focusing on growth at all costs and dictating unilateral organization changes causes apathy and anxiety. People are afraid to ask for help, which often leads to fatalities and preventable errors. As we watch the unfolding of Airbnb and Uber, we can see major differences in how they treat customers, drivers/hosts, and other members of their ecosystem. This HBS article explains the grave effects of Uber’s “command and control” approach on their reputation and long-term health. Failure is a necessary part of innovation, yet many have assigned a negative unilateral meaning to the word. In many struggling organizations, nearly all failures are treated equally–and considered blameworthy actions. Amy summarizes the behaviors required for cultivating teaming: “Individuals and groups must be motivated to embrace the difficult and often emotionally challenging questions that failures reveal. Doing so requires a spirit of curiosity and openness, as well as exceptional patience and a tolerance for ambiguity.” This behavior creates little room for arrogance, which is defined as the belief that you have nothing left to learn and have all the answers. If you are looking for ways to accelerate marketing innovation in 2015, I highly recommend the full program replay. You can download the complete MP3, slides, and webinar by joining our Making Marketing Waves community. For only $24 per month, you will receive my exclusive content and receive invitations to our live private events (quarterly). How will you accelerate marketing innovation in 2015? Share your thoughts below.